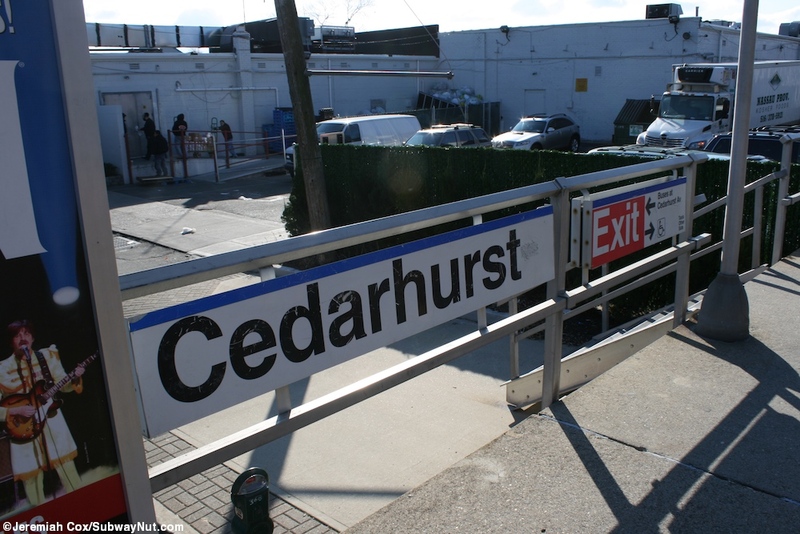 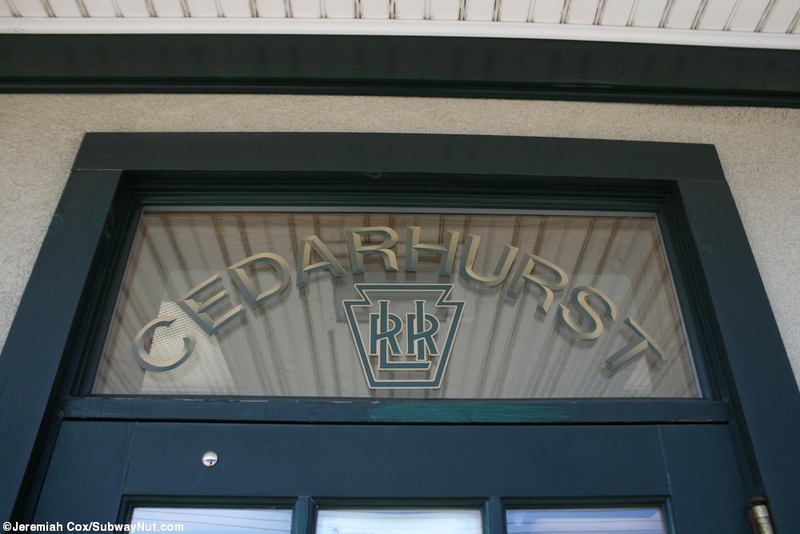 Cedarhurst has two high-level side platforms that were built around 1968 when the M1s were introduced that required this. 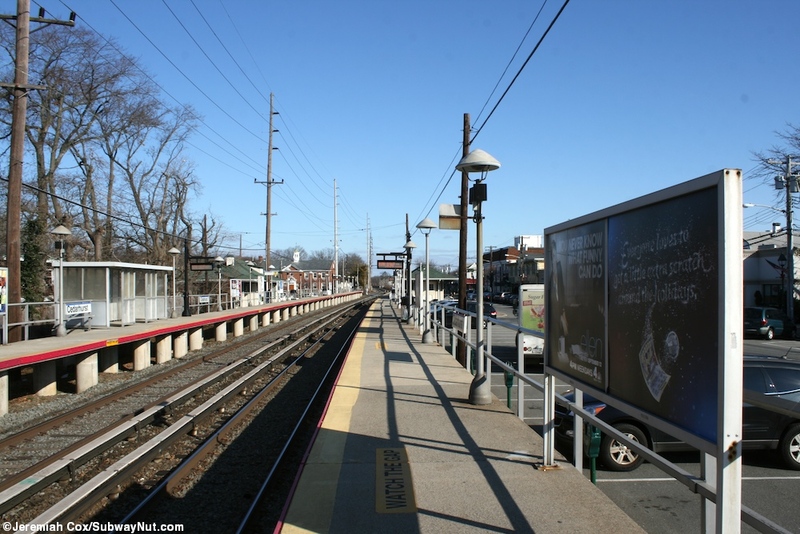 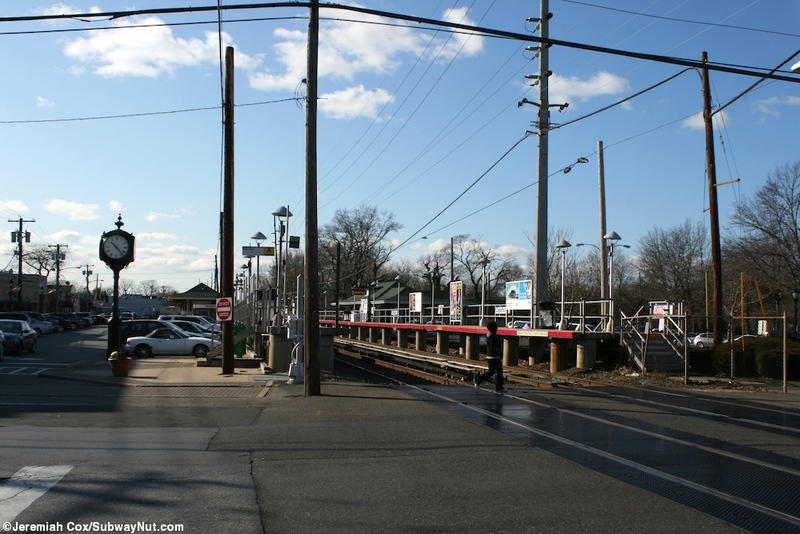 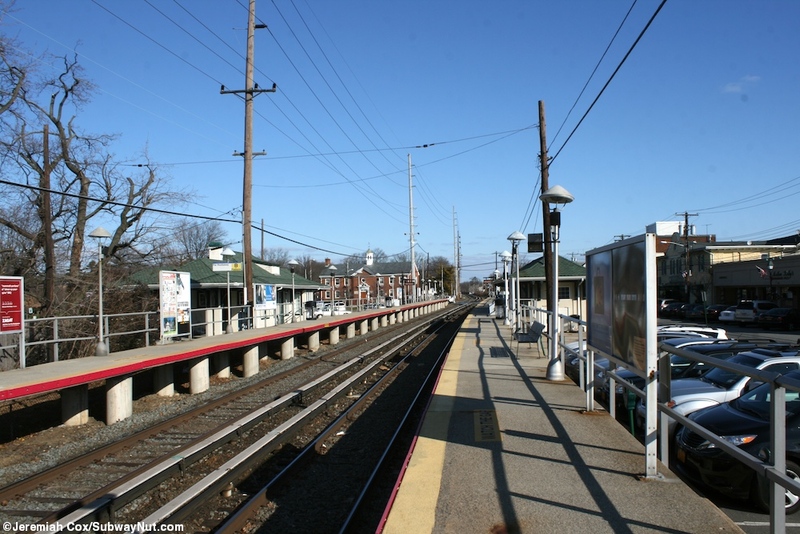 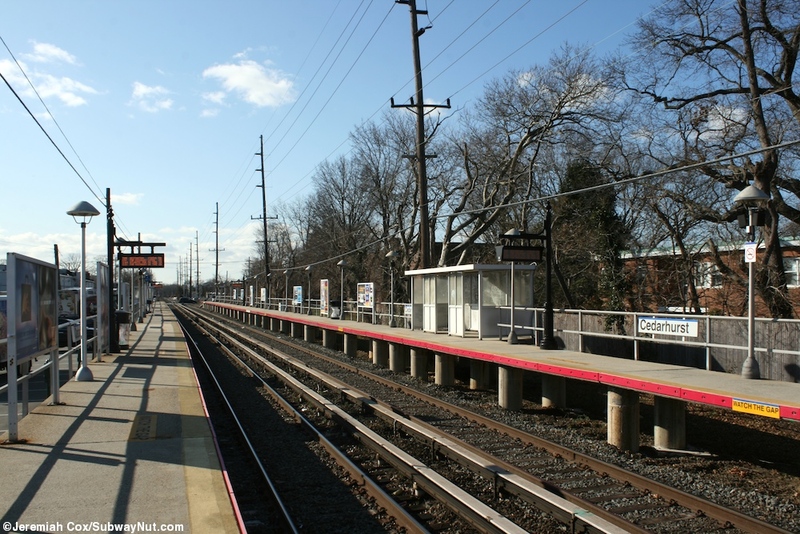 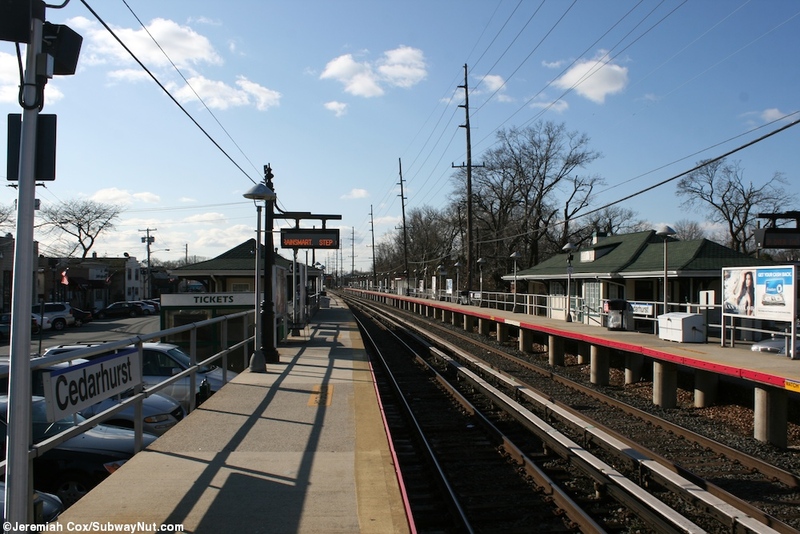 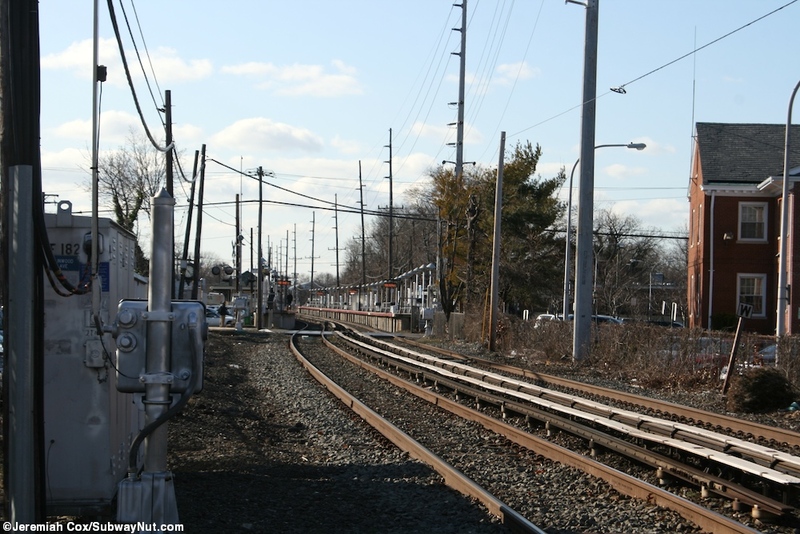 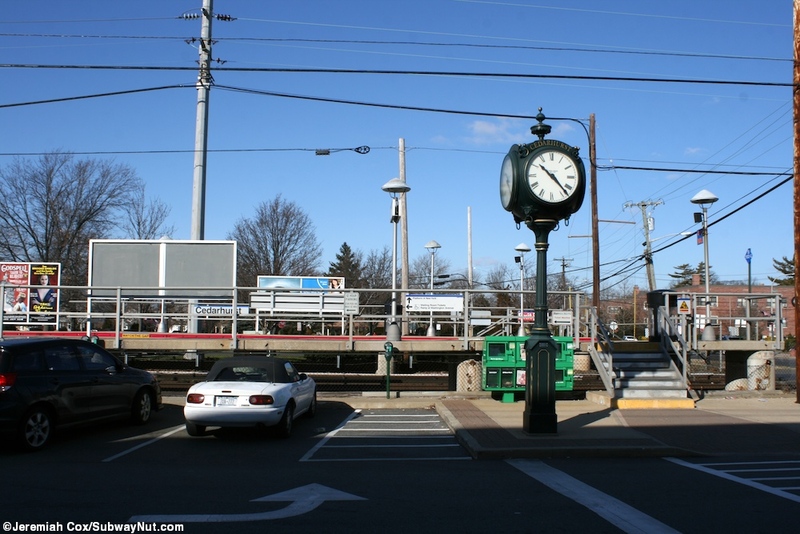 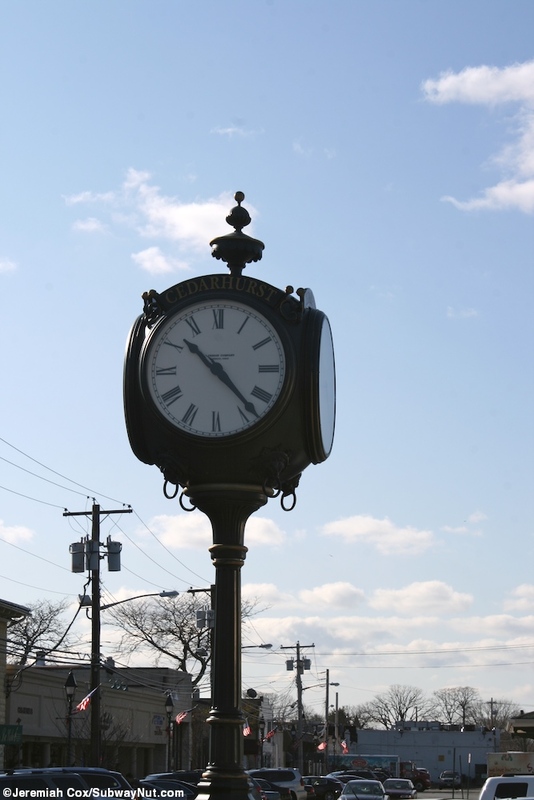 The two platforms run south from the grade crossing of Cedarhurst Avenue in the village center to the grade crossing with Washington Avenue. 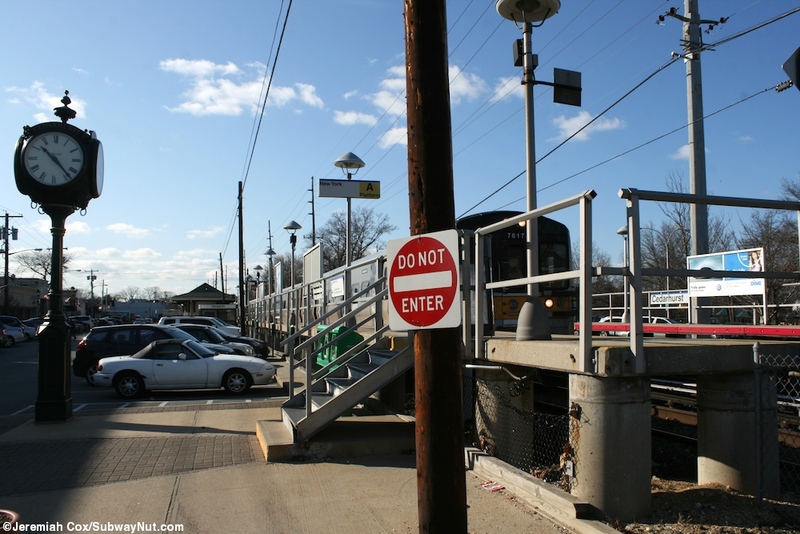 The platforms only wheelchair ramps are at their southern ends to Washington Avenue. 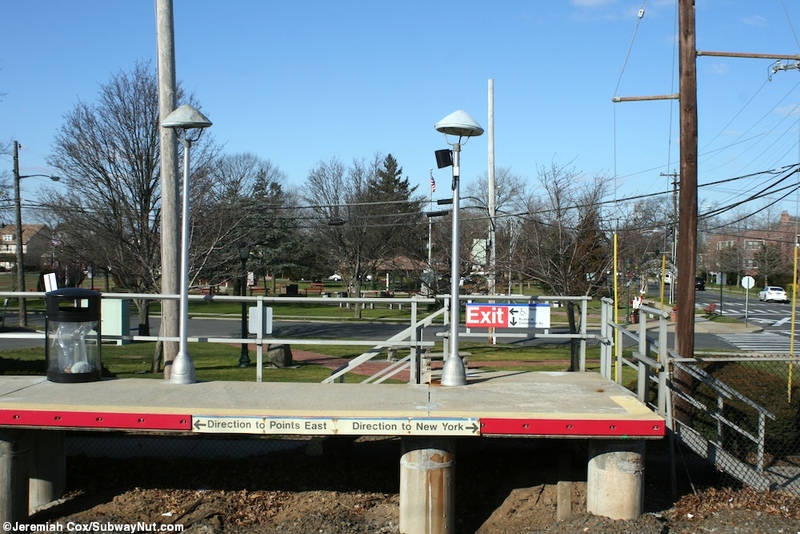 This is a design flaw because all other station amenities are towards the northern end of the platforms, where there are quite a few staircases down off of them. 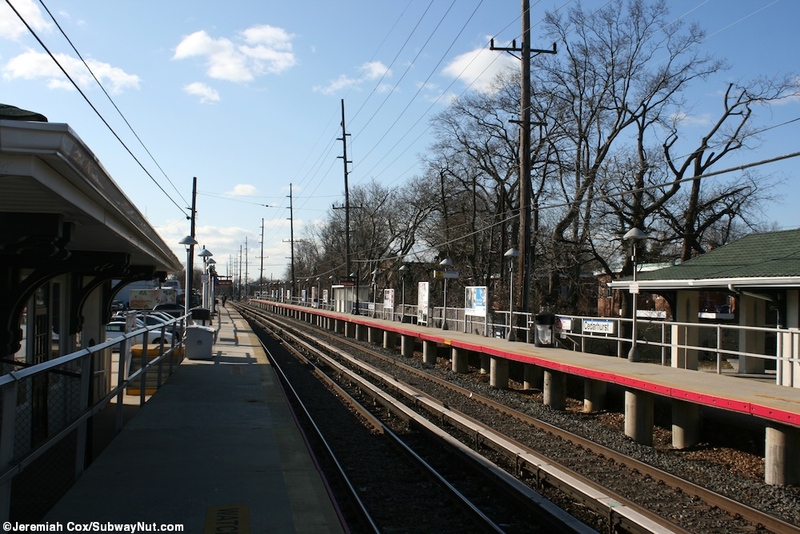 These includes the main parking lot along the Far Rockaway-bound platform. 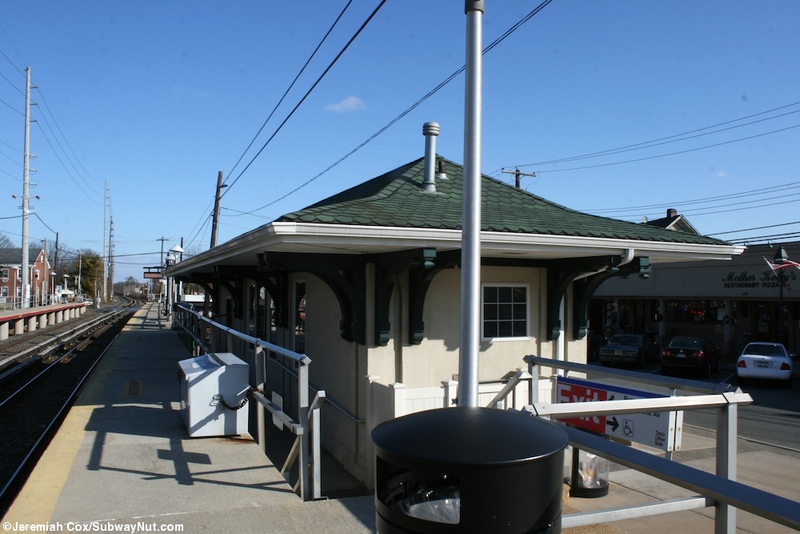 The New York-bound platform has a vintage looking clock and the small depot building with a green shingled roof that was built in 1913 (Trains are Fun, LIRR Station History). 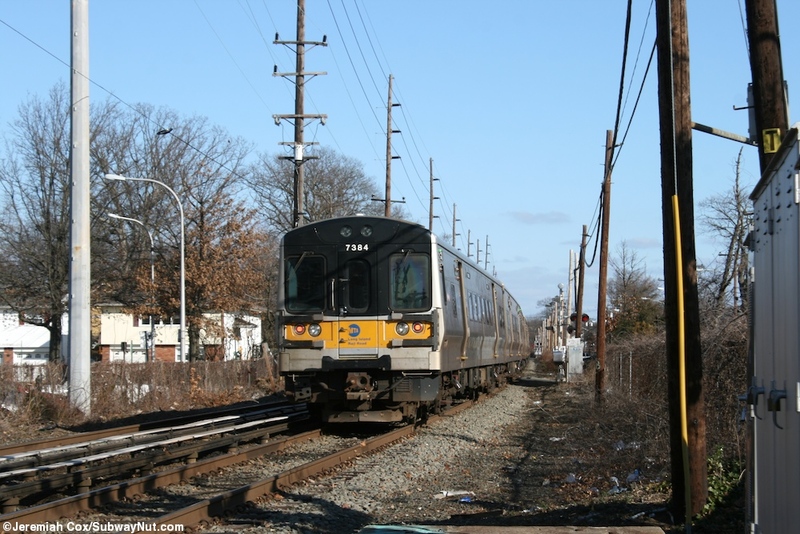 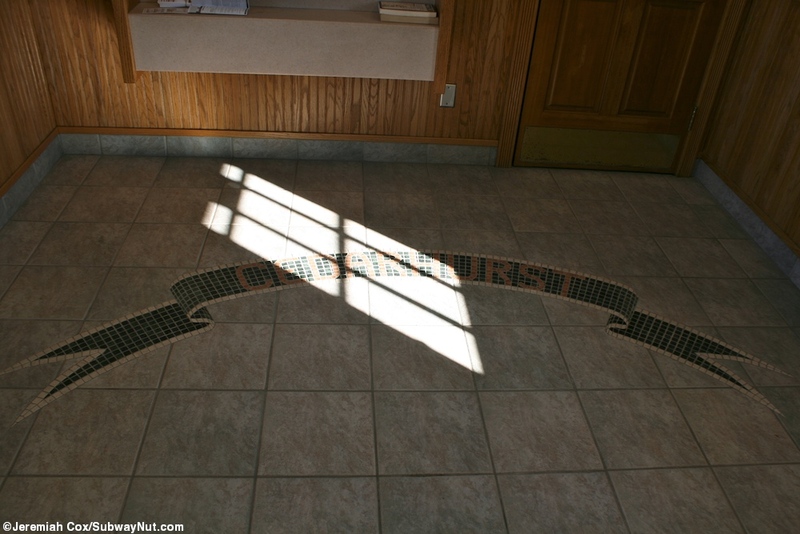 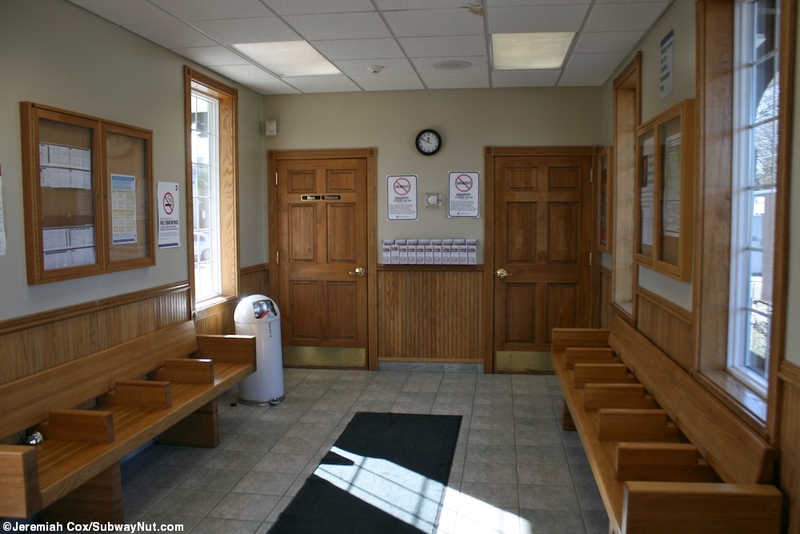 It is open weekdays from 4:30am to 2:00pm (MTA station page) and had an agent until August 2009 (TrainTalk Archive). 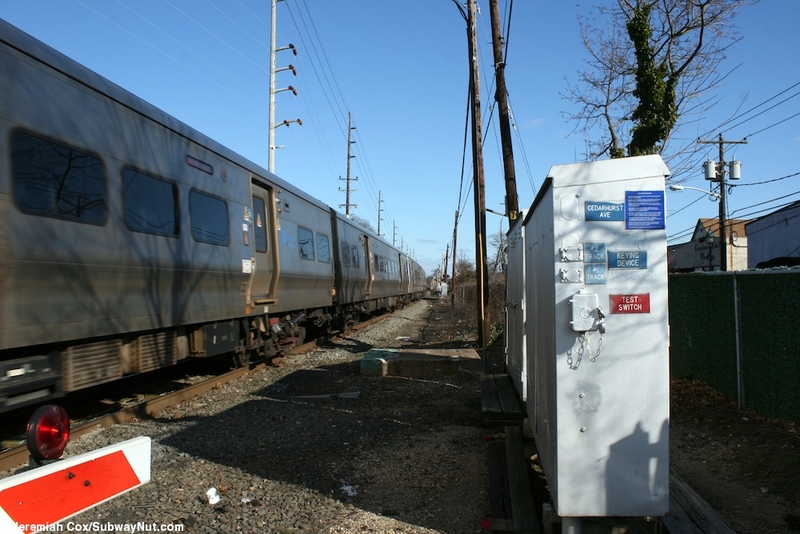 Right outside at street level in a shelter are the station's two TVMs. 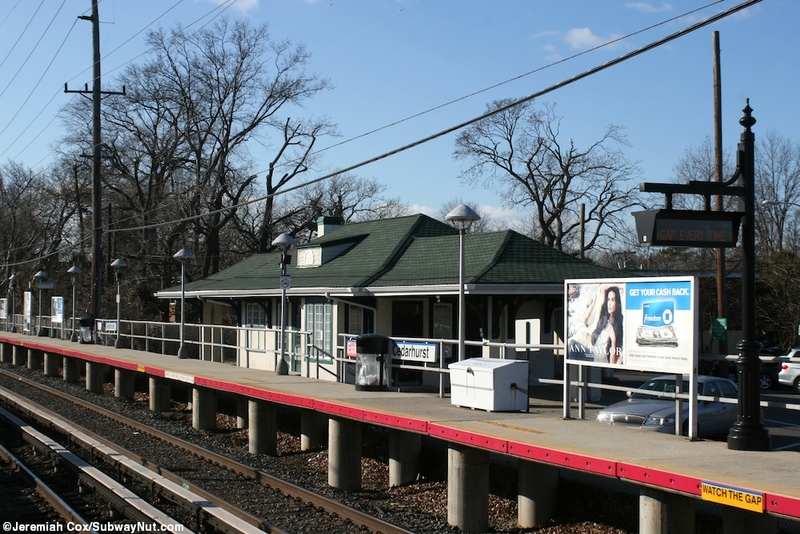 Across from this depot is a similar looking building along the Far Rockaway-bound platform that is now owned by the Village of Cedarhurst and serves a non-train function. 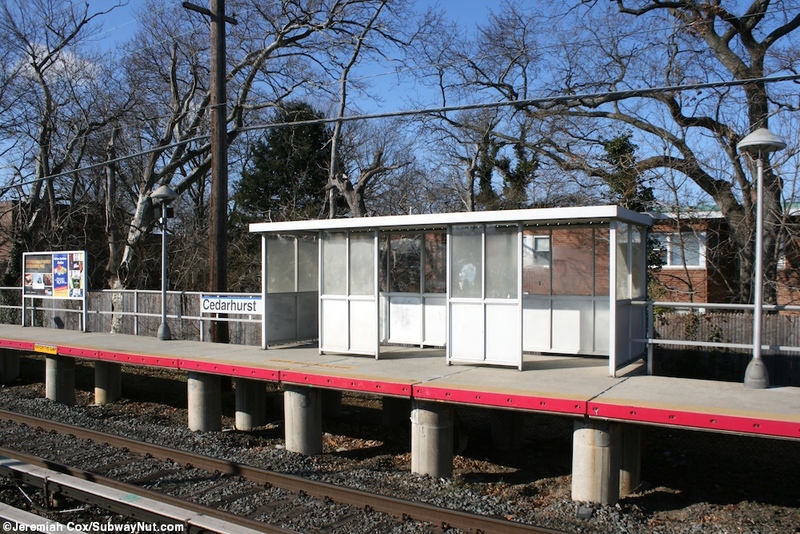 The only other form of shelter for waiting passengers is a metal and plexiglass one along each platform.